suitable for calls and voice messages on whatsapp as well! Newest mobile phone-pc voice changer able to change your voice when you are on line. You don't need technical skills to use it. Very useful also for WhatsApp calls and vocal messages! CV-C can modulate and make your voice unrecognizable by choosing multiple vocal pitches. Equipped with two types of cables (Nokia-Samsung), this amazing device works with any type of cell phone. Thanks to its easy of use, you will be able to disguise your voice from now on, wherever you go! 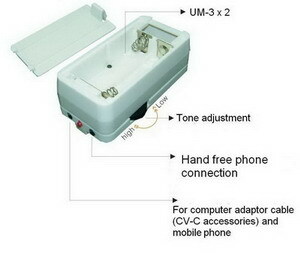 For cell phones: connect earphone jack to voice changer and the other connector from voice changer to cell phone (see picture at the bottom page). For computers: connect microphone jack to speaker socket and vice versa. 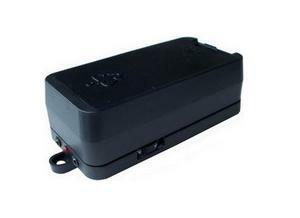 The other connector must be connected to voice changer (see picture at the bottom page).